Toyota’s luxury vehicle division, Lexus released its first car, the LS, in 1989. The first Lexus manufactured outside of Japan was 2003’s RX 330, built in Ontario. Unlike many luxury product lines, Lexus is only slightly above average at occupant protection. Lexus models generally cost more to repair after accidents, resulting in above average collision claims costs. Only the ES 300 and RX 330 settle comprehensive claims at rates less than average. Most models tend to cost more than the national median. Finding the lowest insurance rate for your Lexus is simple, fast and easy using Ratelab’s car insurance calculator. With more than 40 insurance industry partners, comparison shopping is thorough, too. Simply add your postal code in the boxes above to start a process that takes less than ten minutes and produces up to 10 quotes, each designed for your insurance needs and chosen for lowest rates. Start on the road to saving money on your auto insurance policy now. You could save hundreds. The table below shows Lexus car insurance cost for a sample driver. Methodology: We surveyed Lexus car insurance prices in select Canadian cities for the purpose of illustrating the average quotes for a male driver aged 35 years in city downtown with owned Lexus ES 300h 4DR 2015 model car. With a line of four door sedans and SUV/crossover models, the Lexus market niche favours designs that typically sit in comfortable insurance cost territory. That is somewhat countered by real life, on road performance. The Insurance Bureau of Canada collects data on every model in the country that has at least 1,500 vehicles insured. Every insurance claim for these cars enters the IBC database, broken down by maker, model and year. Information for each claim is also added, providing insurers and consumers with a thorough picture of the auto claims history of recent years. This information adds to the arsenal of data used by each insurer when developing auto insurance policy costs. Every insurer in Ontario has a unique way to calculate the price you pay, so often, after the base statistics, similarities end. From the IBC claims information, tendencies emerge upon which insurance costs base. Used vehicles compare with other vehicles of the same model year. New vehicles may see rates influenced by previous model years. In the case of Lexus models, there is little statistical evidence that compellingly pushes car insurance costs down. While many luxury manufacturers see fewer personal injury claims than average, Lexus shows no similar trend. The GX 470, RX 300 and RX330 have multiple model years with fewer accident benefits claims than average, not all model years match the trend. Conversely, no Lexus model shows poorer than average performance. Accident benefits, amounts paid for medical and rehabilitation costs after accidents, are part of the basic, mandatory Ontario auto insurance requirement. While Lexus models won’t influence lower costs, a motorist can expect average insurance premiums in this category. Comprehensive and collision coverage represent additions to the basic Ontario policy. Interestingly, these sections aren’t required by the government to legally operate a vehicle. A driver could choose not to add these endorsements to the basic policy. That driver, though, would be fully responsible for the costs of repair or replacement in many situations. Also, though there’s no legal requirement, lending agencies may insist on collision and comprehensive coverage as a condition of financing, particularly in the case of a new vehicle purchase. 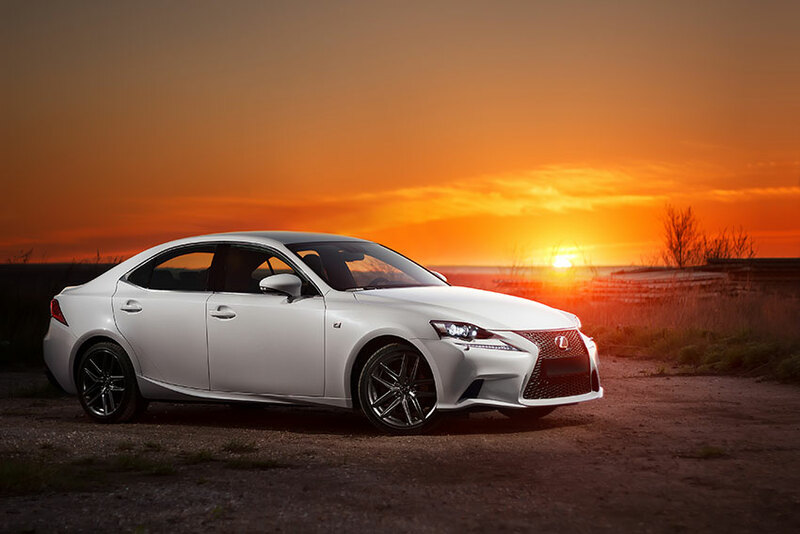 The average cost of collision coverage for a Lexus is higher when an insurer considers IBC data. Only a single Lexus model and year showed collision claims costing less than average, the GX 470 from 2007. About one-third of the Lexus models listed returned average results. The remainder cost more than average in collision claims, though it should be noted that, overall, these higher than average claims are reasonable compared with similar luxury manufacturers. Comprehensive claims fare somewhat better. Of all Lexus vehicles included in the IBC’s most recent data, about one-third place in each category – below, average and above average claims costs. There’s no model trends, however, save for the ES 330, which shows multiple model years placing below average. Other models have a random mix across comprehensive claims cost performance. When it comes to car insurance premiums, this means, at best Lexus models are cost-neutral when adding comprehensive coverage. Some insurers may price Lexus higher than average. Takata supplies airbags to nearly all auto makers in the world. When a potentially dangerous and widespread defect became identified, the most extensive recall in automotive history began. Some Lexus models have affected Takata airbags installed. Car and Driver provides a comprehensive overview of the Takata issue. Nearly 425,000 Lexus vehicles including GS models from 2006 to 2011 have faulty fuel delivery pipes. 2013 GS 350 sedans have a brake pedal support issue. IS 350, IS 350C and GS350 models between 2006 and 2011 have a problem with the variable valve timing device. Over 300,000 Lexus hybrid vehicles globally have a potential brake problem. 2015 Lexus RX models may have a fuel leak issue increasing fire risk. 2012 and 2013 RX 350 vehicles have a software issue affecting traction and stability performance. The Lexus RX 400h hybrid vehicle has an inverter assembly problem that may shut down the hybrid system. Lexus CT 200h, ES 300h, ES 350, GS 450h, GX 460, IS 250, IS 250C, IS F, LFA, LS 460, and LX 570 have no outstanding recalls at the time of publication. While many motorists know that combining car insurance and home insurance with the same provider results in discounts on both policies, many aren’t aware that other discounts contribute to further savings. Multi-line discounts – the practice of placing several policies with one insurance company – may also apply to other vehicles, including boats and snowmobiles, for example. Some insurance providers target specific markets, such as mature and retired drivers, offering discounts for those who qualify. There are a couple things to keep in mind when considering discounts. First is that not all companies offer the same discounts. Even when they do, a driver usually must ask for the addition of these. Insurers don’t automatically apply discounts. Also, the rate after discount may still not be as low as another company’s base rate. Auto insurance in Ontario is complex and the best way to ensure the lowest premiums means comparing rates. That’s what makes the car insurance calculator at Ratelab such an important tool when shopping for insurance. In just a few minutes, you can generate estimates for the best rates from dozens of providers to compare with what you’re paying now. This could help you negotiate a better rate with your current provider or point you in a new direction when it’s time to renew. Lexus is a luxury vehicle under the division of Toyota, a Japanese automaker. It was first introduced in the United States in 1989 but has now become a global brand sold in most parts of the world. It is marketed in more than 70 countries and has become the largest seller of premium cars in Japan. The headquarters are situated in Nagoya, Japan. The automobile company is ranked among the top ten largest Japanese global brands with respect to market value. Operational centers are located in Belgium, Brussels, California, and Torrance, USA. In 2003, the assembly of the first Lexus car (RX 330) outside the country began in Ontario, Canada. Lexus operates its own design, manufacturing centers, and engineering. Lexus RX and NX are popular Lexus models in Canada; they are ranked third and fifth, respectively, in the list of top fifteen best-selling luxury cars in Canada. The Lexus RX was engineered with safety in mind. Some of the safety features include a pre-collision system, side-impact door beams, front and rear crumple zones, vehicle stability control (VSC), dynamic radar cruise control, automatic collision notification, enhanced roadside assistance, four-wheel ventilated power-assisted disc brakes, anti-lock braking system (ABS), and traction control (TRAC). The Lexus models have been designed with safety in mind. 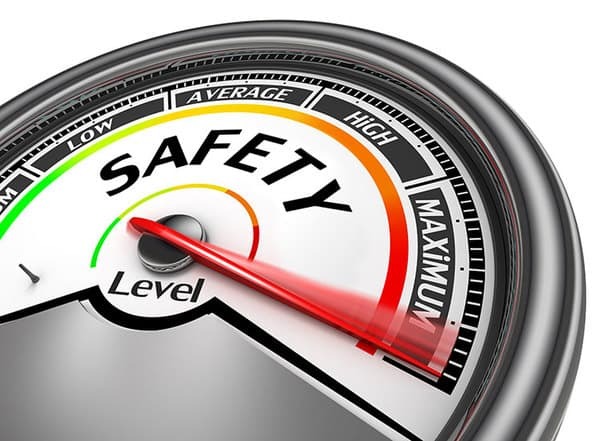 The National Highway Traffic Safety Administration gave the Lexus Model RX an overall 5-star rating while the Insurance Institute for Highway Safety gave it a “good” overall review. Getting the different auto repair parts for Lexus is easy as there are a number of repair storehouses in Canada. It is relatively cheap to obtain parts for Lexus models. The brand Lexus is a known for its advanced technology and craftsmanship. The model is known as one of the most reliable models on the road. The Luxury Lexus model is among the top ten most stolen sports cars in Canada. The Lexus RX 350 is ranked sixth in the list of the top stolen cars. Although, with the installation of safety features on the latest model, the incidents of theft have reduced.